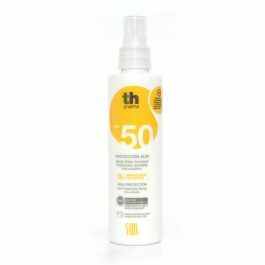 Sun Protection Spray Fps50 PEDIATRIC 200ml. Sun Protection Spray Fps50 PEDIATRIC 200ml. Water Resistant. Shake well before use. Apply a generous amount to the skin 30 minutes before exposure to the sun. Repeat application frequently. Do not allow children under 1 year old to be directly exposed to the sun. Do not allow older children to be exposed to the sun without very high protection and suitable clothing. Avoid direct exposure to the sun during the mid hours of the day. Avoid contact with the eyes. If product comes into contact with the eyes, wash immediately with plenty of water. 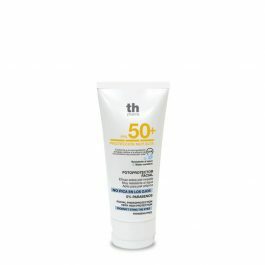 Corporal photoprotection cream PEDIATRIC Spf 50+ Very High protection. 250ml. 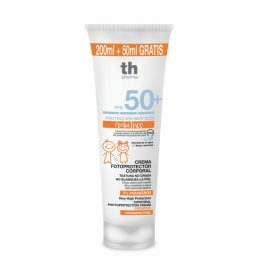 Corporal photoprotection cream PEDIATRIC Spf 50+ Very High protection. 250ml. Th Pharma. Non-greasy formula. No white residue.